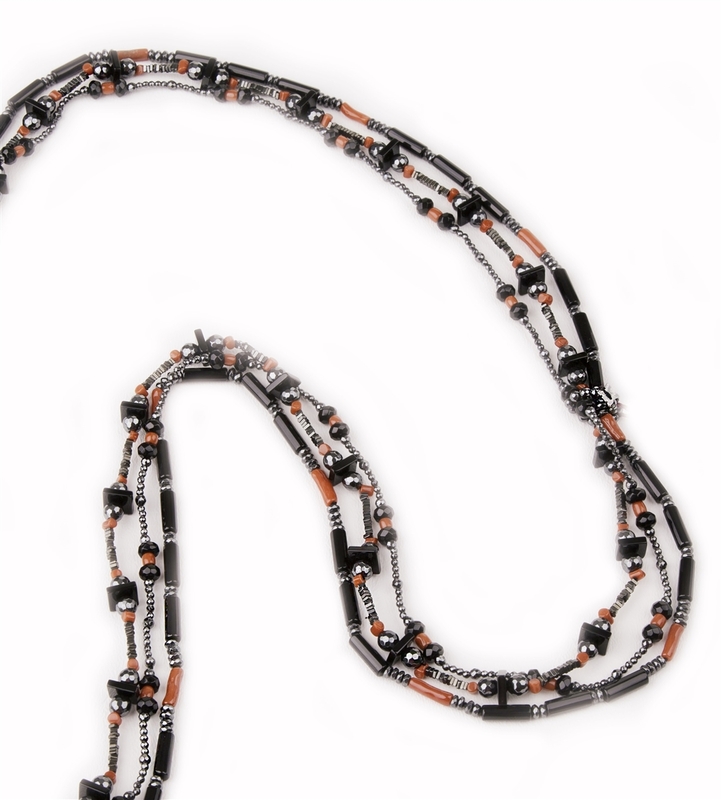 This long 3 strand Black Onyx Necklace is filled with movement & visual interest. 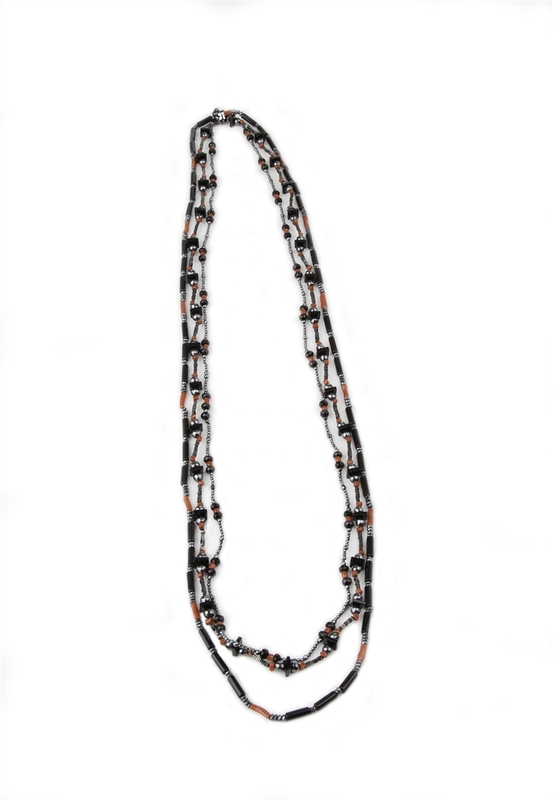 With each strand featuring different shapes & sizes of Onyx, Red Coral & Hematite Gemstones it is sure to catch your eye. 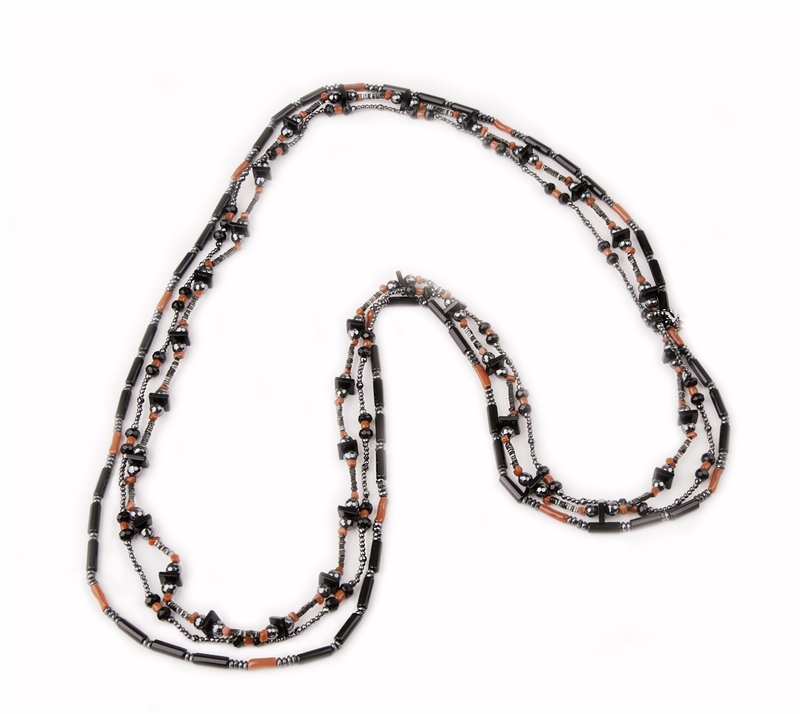 Made in Italy by Rajola. Fits over the head, no latch. Length 38"